"Souped Up Rods Personal Checks" product is already in your cart. 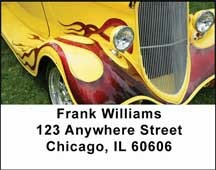 These Souped Up Rods Personal Checks are great for auto lovers of all types. With four rotating images of these custom cars, these checks are sure to make your checkbook rev!